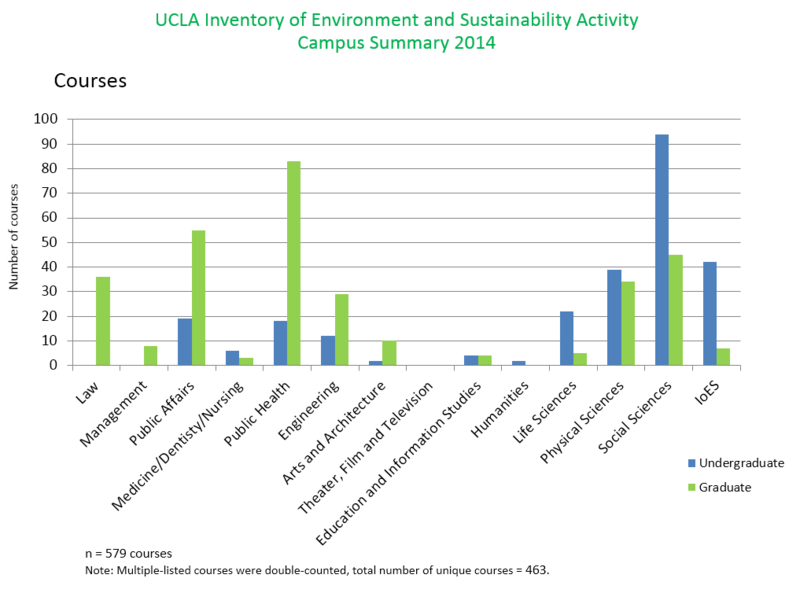 UCLA has conducted comprehensive assessments of curriculum and research programs and identified in a 2014 Taskforce Report found over 400 faculty and thousands of students from every corner of the Campus engage in environment and sustainability related research and training through 58 degree and certificate programs, 32 interdisciplinary institutes and centers and almost 600 courses. The Leaders in Sustainability graduate certificate has been recognized as a groundbreaking interdisciplinary program: UCLA honored for Sustainabilty Curricula, and the undergraduate Education for Sustainable Living Program has been recognized nationwide as a model for creating a living laboratory where students collaborate with staff and faculty to do applied sustainability research on campus through the Sustainability Action Resource course. We are also working on infusing sustainability across the curriculum and in 2011 hosted a Sustainability Across the Curriculum workshop and later a networking event for faculty interested in integrating sustainability. Over 130 are collaborating across disciplines on the Sustainable LA Grand Challenge, with the goal of making the LA region 100% sustainable in energy and water while enhancing biodiversity. 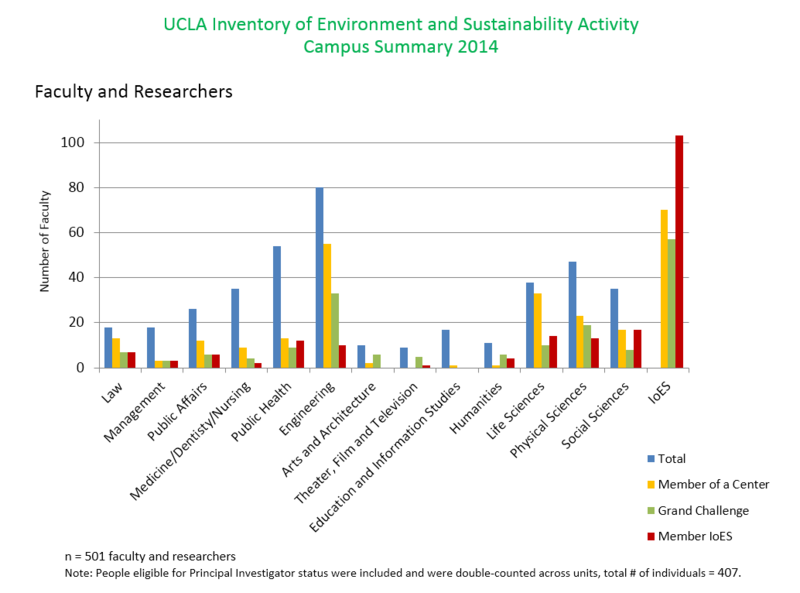 If you are doing research on sustainability, check out these resources from UCLA Library: Sustainability Research Guide from UCLA Library and Electronic Green Journal from UCLA Library.